Package of artistic photo effects (lite version). Is there a better alternative to Photo Effect Studio? Is Photo Effect Studio really the best app in Image Editing category? Will Photo Effect Studio work good on macOS 10.13.4? Photo Effect Studio sets free your inner artist, letting you create unlimited photo effects and share your vision with the world! 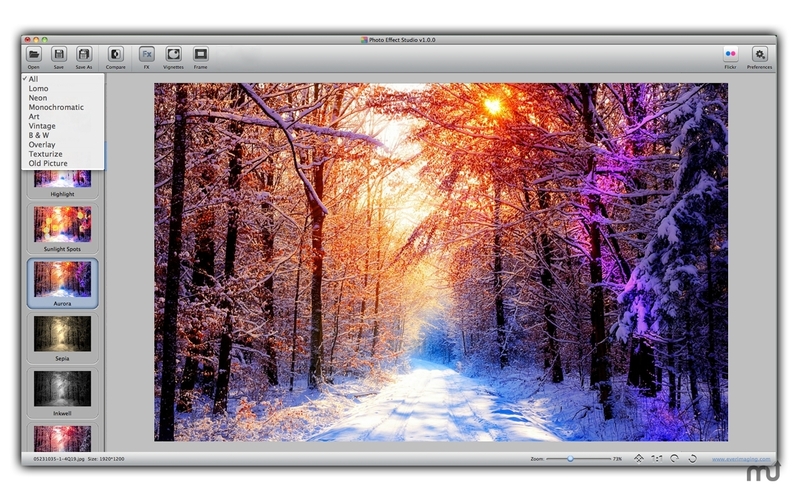 The GUI uses a split panel approach, with powerful tools allowing additional fine tuning on top of the photo effects, including exposure, brightness, saturation, rotate, curve adjustment, color balance, color temperature and tint adjustment, lens correction, highlight/shadow adjustment, white- and black-point adjustment, just to name a few, many levels of fine tuning are available.